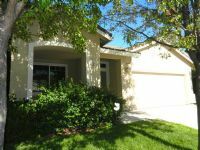 Sacramento Delta Property Management Inc. - single family homes, townhomes, condos, apartments rent and lease in Greater Sacramento and Placer Counties. Sacramento Delta Property Management, Inc. is a professional real estate company committed to offering the best in property management services to our community. Our success will be measured by our ability to maximize our owner clients return on their investment while providing safe quality housing for our resident clients. We will at the same time strive to provide the best in customer service, business ethics, and innovation, in a superior work atmosphere. For more information about Sacramento Property Management, please visit our educational blog. You have to check out this extremely well kept single story 3 bedroom 2 bath home in Laguna West. This home is 1225 sq ft and features a spacious living room with fireplace, dining area with view and entry to the beautifully landscaped back yard. It has a good sized kitchen with bar area, inside laundry and 2 car garage. The owner does charge a $125 surcharge to help pay a portion of the W,S,G this is in addition to the monthly rent. This home is currently occupied, pre-approval is required to view.